Kernel rpms may be built via kernel-2.6.32.26-174.xendom0.fc12.src.rpm rebuild on F14. First copy off the disk to Dom0 required files. This entry was posted on Friday, November 26th, 2010 at 3:34 pm and is filed under Uncategorized. You can follow any responses to this entry through the RSS 2.0 feed. You can leave a response, or trackback from your own site. Many thanks for the write-up – very helpful! 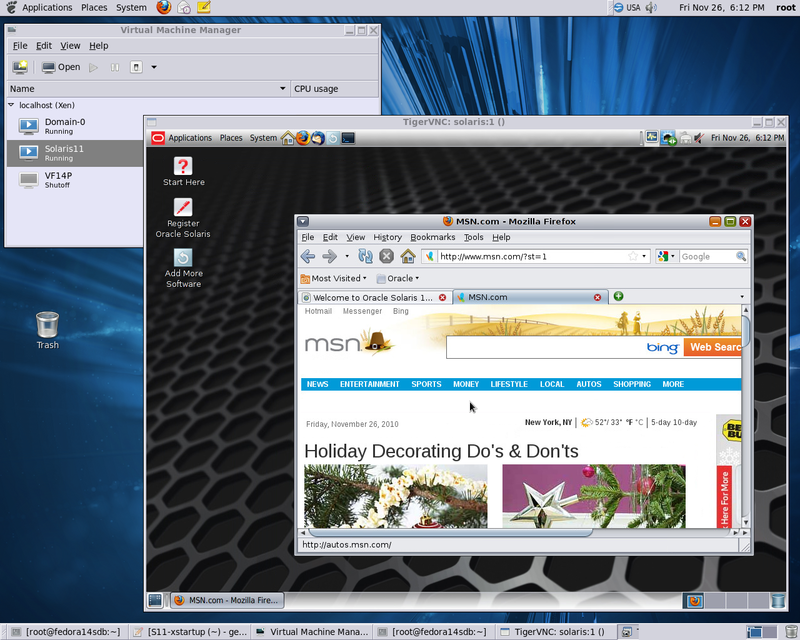 How did you set the console to show up in vnc? But still get nothing on the vnc port (although it connects – I just get blank console). 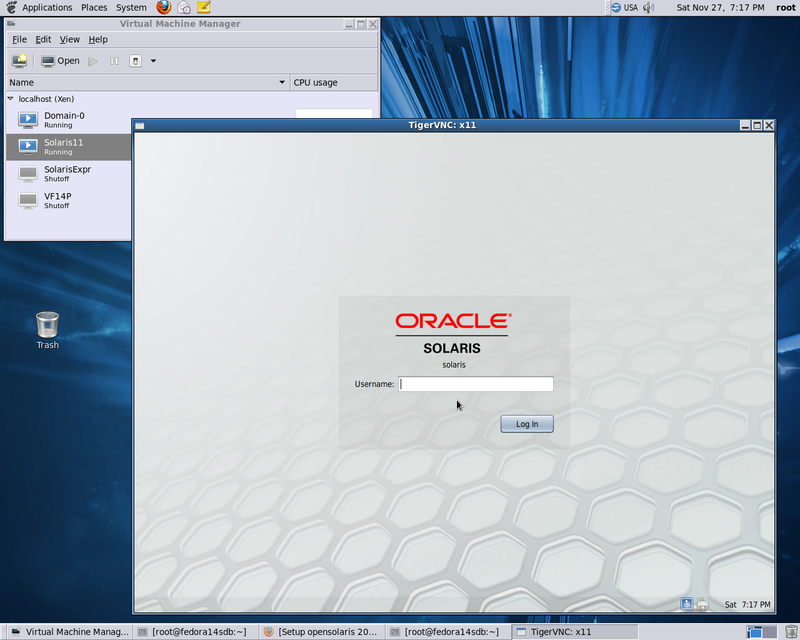 This config works fine for my other VM’s (fedora and Scientific Linux) – but I can’t get it to work for Solaris 11.